Learn more about Dr. Flick, Wilson, and their team at Provo Family Dentistry. Dr Flick grew up in Orem, Utah and graduated from Oregon Health Sciences University in Portland, Oregon in 1994. He completed his undergraduate degree at BYU. Dr. Flick loves being a dentist, especially meeting patients and getting to know them and their families. He enjoys continuing education and offers a wide scope of dental services including implants, orthodontia, sleep breathing disorders, botox and full mouth restoration. He loves being a dentist and really strives to be on the cutting edge of technology and provide the most up-to-date procedures for his patients. Dr. Flick resides in Spanish Fork with his wife. Together they have 7 children and 2 grandchildren. Dr. Flick loves adventures on the snow, in the water, on a bike, at the golf course or on red rocks. He isn’t picky about how he spends his time away from work! Dr. Wilson and his family moved to Provo in 1994 after graduating with high honors from the Oregon Health Sciences University in Portland, Oregon. He and his wife, Karen, currently live in Pleasant Grove with 3 of their 6 children. Their two older sons are married and they have a daughter on a mission in Russia for the LDS church. Dr. Wilson is a very caring and kind dentist. He is easy to talk to and he is concerned that his patients are well taken care of. As a staff we make a real effort to be prompt and very accurate in what we do. Dr. Wilson loves to do anything outdoors including river rafting, hiking, skiing and visiting Disneyland. Christy has 8 years of front office experience and she keeps us organized. What she enjoys most about her position is the association with so many different people. She has worked in newspapers and has authored two books. Christy loves to read to her kids and exercise. Donelle has 38 years of hygiene experience, and has worked in a dental office since 1976. She loves to exercise and eat. She loves her grandchildren and counts the days until she can see them again. She loves to camp and hike. She is married with 3 kids, 3 in-laws and 5 grandchildren. 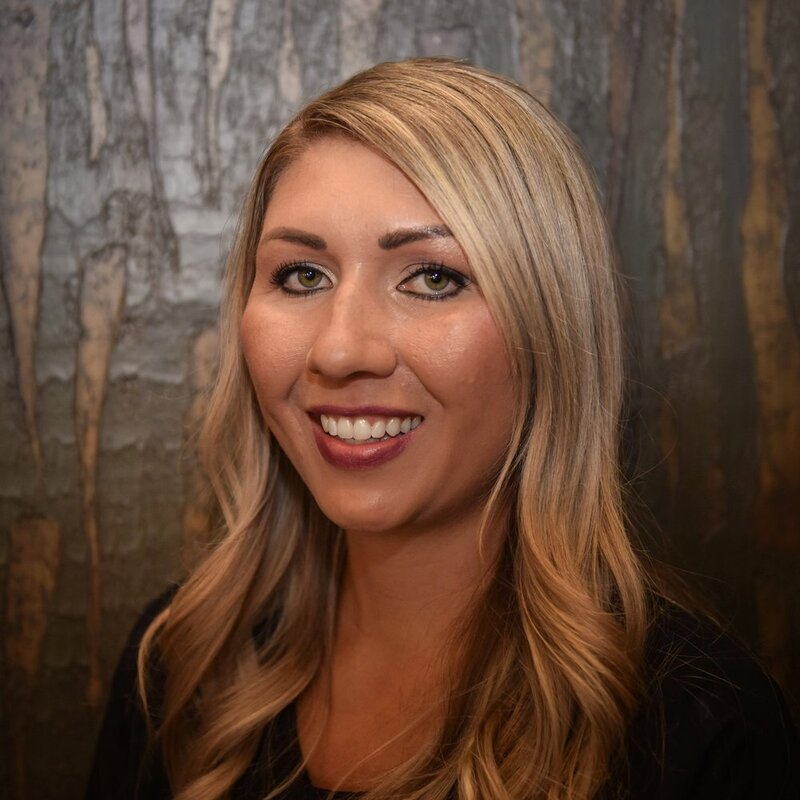 Melody is an integral part of our front office team at Provo Family Dentistry and has been engaged in the dental field for over ten years. She is very knowledgeable and enjoys helping our great patients. Melody loves anything and everything to do with summer time and spending time with family and friends. Wendy is the fun person of the office! She makes everyone feel so welcome and special. She has a talent for bringing joy into our office! Wendy helps us with our insurance verification and at the front desk. She helps with our marketing and monthly give-aways, and is the party planner and decorator of the office.. She is critical to our office and we love her! Wendy loves to be with her family. She has 4 children, 2 of whom are on LDS missions and one is living in North Carolina. Too far away! I have been a dental hygienist for five years but have been in the dental field since I was sixteen. I love getting to know all my patients and developing friendships that last for a lifetime. I like to travel, play sports, hangout with friends and eat lots of delicious food. Chelsey is one of our great hygienist. She graduated from UCDH with her bachelors in Dental Hygiene in 2014. She loves working with all of the patients and getting to know them on a personal level. Chelsey is married and has three children who keep her very busy. In her spare time she enjoys playing sports, camping, hiking, and anything outdoors in general. Sarah is one of our Dental Assistants. She has been in the dental field since 2007. She got her Associate of Applied Science from Provo College. Her number one goal as our Dental Assistant is to make sure patients are comfortable while they visit our office. She and her husband Justin have been married since 2009 and have a growing family including their son Bryson. She enjoys going camping, swimming, playing the piano, and singing. Angela, is one of our amazing dental assistants. Angela has 10 years experience in the field of dentistry and we are so grateful to have her as part of our Provo Family Dentistry team. She is a great team player and enjoys getting to know our patients and assisting them with their needs. In her free time she enjoys camping, traveling, taking her dog on hikes, and spending time with family. Valeria is one of our awesome assistants. She has been an assistant for a over a year now and has been a great addition to our team. She has two dogs that are like her children. Not only is she great in the dental office, but she has a hidden talent of home renovation. In Valeria's spare time she likes to spend time hanging out with her family, spending time out doors, and playing badminton. Kara is our wonderful receptionist! She has worked at Provo Family for a few years and we are thrilled to have her. She works well with patients and the rest of our team. We love her contagious laugh and positive attitude in our fast- paced dental office. Kara loves to spend time with her family on the lake or at her property in Southern Utah. She and her husband have 5 children and 6 grandchildren. Karina Largo has been in the dental industry for five years now and is dedicated to giving her all. She has been with Dr. Flick for three years and many more to come. Her goal and desire is to give the best service possible to all those who enter into this office. It is rare to leave without a smile from her. Karina is from New York City!! She has been married for two years. She has been doing many adventures lately. Such as running 5k’s, traveling around the United States, and she loves supporting her husband at Native American Pow Wows.